Steve "Sneeze" Wyatt is proud to be known for his fabulous inventions, but, unfortunately, they are also the reason his parents have decided that he should skip a grade and leave all of his friends behind in junior high! There’s no way the resourceful Sneeze is going to let that happen. He’s on a mission to think of 101 surefire ways to get under his teachers’ skin . . . and fast. And not even a worrisome case of inventor’s block, or fear of his history teacher Ms. "Fierce" Pierce, will deter him from his clever plan. Lee Wardlaw (www.leewardlaw.com) lives in Santa Barbara, California. 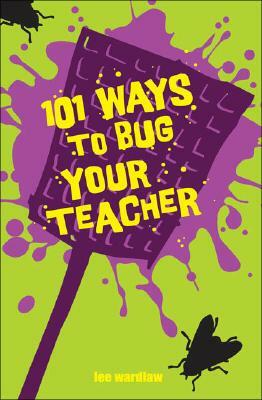 Her 101 Ways to Bug Your Teacher was an IRA-CBC Children's Choice and earned many other state awards and nominations.